Do you need a garage door for your commercial or industrial building in southwestern Ohio? Overhead Door Co. of Greater Cincinnati offers a variety of doors designed specifically for commercial applications ranging from warehouses to storage facilities to fire stations to restaurant garage doors. All it takes is one phone call and you’ll be connected with a commercial garage door specialist. 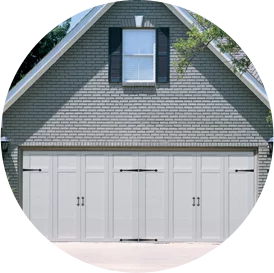 Dial (513) 394-6938 or contact us online to learn more about our garage door services. At Overhead Door Co. of Greater Cincinnati, we offer a wide selection of commercial doors. The quality of our commercial overhead doors combined with our commitment to excellence in service and installation is unmatched. Contact us online today to learn more about our commercial doors! Just call (513) 394-6938. Why Choose Us For Your Commercial Garage Door Needs in Cincinnati? Whether you need a security grille for a retail store, a fire rated counter door for a restaurant, a steel sheet garage door for a warehouse or anything else, Overhead Door Co. of Greater Cincinnati has you covered. Contact us to learn more about our commercial products! Just call (513) 394-6938.